Throughout time, history has allowed us to admire the work of our most talented and skilled architects in the world. From Sir Christopher Wren, to Michelangelo, to Pierre Charles L'Enfant, we have been able to study their work, creativity, and their skill. One very popular architect is Charles Edouard Jeanneret, better known as Le Corbusier, which is a name from his family lineage. Le Corbusier was a Swiss-French architect born in 1887. He embraced functionalism, and favored the modern materials of his time, such as concrete and steel. He is well known for his housing structure, using a free-flowing floor plan and column support for walls. He also placed his buildings on stilts, and quite remarkably, his buildings incorporated the use of flat roofs for gardening. This sums up his philosophy that a house is a "machine for living in." 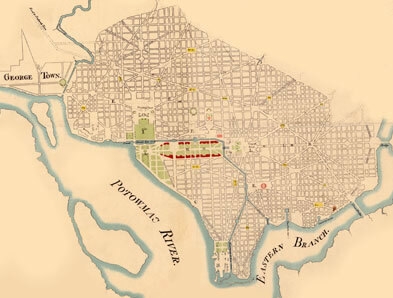 Pierre L'enfant is the mastermind behind the very unique design of the city of Washington D.C. Originally, Thomas Jefferson had sketched a small design for the city, however President Washington was blown away by the grandiose plan brought to him by L'enfant. The center of his plan was to create a public walk, known today as the National Mall. This is a two mile strip of grass and trees extending from Capitol Hill to the Potomac River. L'enfants plan included a specific location for the White House and the Capitol. Plans for the White House included public gardens, with specific monumental architecture. Most streets would be laid out in a grid, some streets traveling east-west, others in a north-south direction. Diagonal avenues crossed the grid. Basing his designs off of the designs of several French cities, Washington D.C. had a design unlike any other city in the United States at that time. Another talented and favored architect is a man by the name of Antoni Gaudi. Gaudi's work was fueled by his admiration of nature, and his faith in God. A Spanish architect born in 1852, Gaudi is known for his favoritism of curves rather than straight lines, using multiple textures, and his use of vibrant colors. His unique style can be somewhat categorized as part neo-Gothic, part surrealistic. 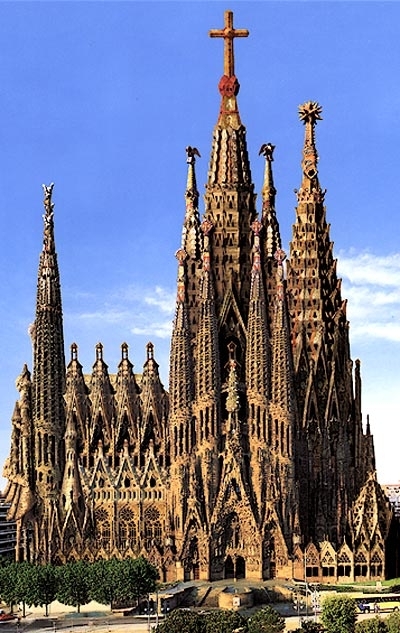 His most famous work is the Cathedral of the Sagrada Familia. The Cathedral was unfinished by the time of his death in 1926, and to this day, despite continued work, remains unfinished.